Ascending Butterfly: Do you Motherhood Out Loud? We live out loud. We laugh out loud. We even love out loud. Then why not motherhood out loud too? That's the question I was left with after taking in the stageplay Motherhood Out Loud at the Primary Stages Theater in New York City. 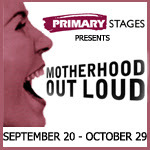 You can follow primary stages on twitter @primarystages and Motherhood Out Loud on Twitter at @MotherhoodOL) (You can also connect with them on Facebook too! Ƹ̵̡Ӝ̵̨̄Ʒ - When entrusting the subject of motherhood to such a dazzling collection of celebrated American writers, what results is a joyous, moving, hilarious, and altogether thrilling play. Utterly unpredictable, Motherhood Out Loud shatters traditional notions about parenthood, unveils its inherent comedy and celebrates the deeply personal truths that span and unite generations. Motherhood Out Loud reveals with illuminating insight the humor, raw emotions and rocky roads we experience in life. Ƹ̵̡Ӝ̵̨̄Ʒ - Primary Stages presents the New York premiere of the new play, conceived by Susan R. Rose and Joan Stein, and written by Leslie Ayvazian, Brooke Berman, David Cale, Jessica Goldberg, Beth Henley, Lameece Issaq, Claire LaZebnik, Lisa Loomer, Michele Lowe, Marco Pennette, Theresa Rebeck, Luanne Rice, Annie Weisman and Cheryl L. West, under the direction of Lisa Peterson. 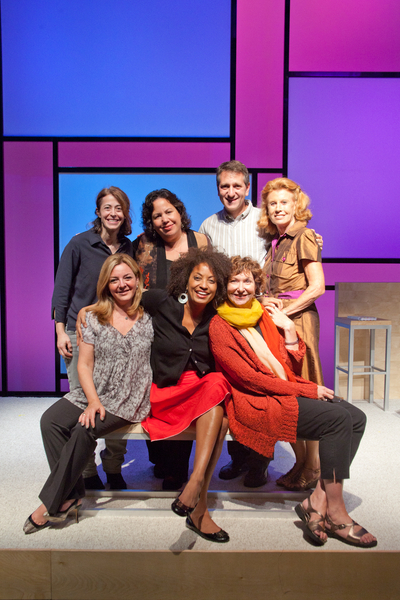 Motherhood Out Loud received its triumphant world premiere at Hartford Stage and recently completed its West Coast premiere at the Geffen Playhouse (as In Mother Words). 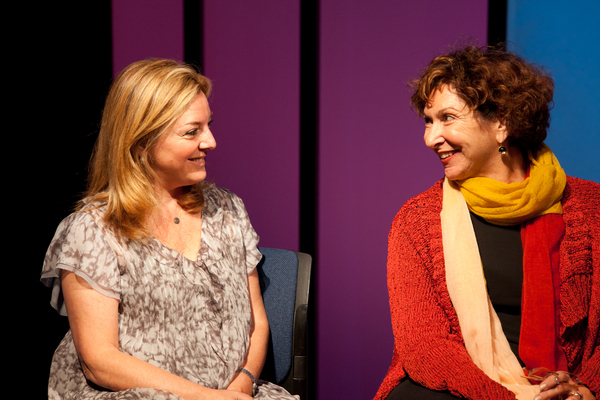 While I can't actually take you to the play, I can share some behind the scenes photos of a special talk back, moderated by Rene Syler (@ReneSyler) Where the writers, director and one of the performers shared their insights on bringing those poignant and memorable moments that comprise being a mother to the stage. Actress Mary Bacon and her son - he wanted his mama! Talk about Motherhood Out Loud, how cute is he? Behind the Scenes with the folks behind the production! The play offers various perspectives on Motherhood, its funny moments, its heartfelt moments, raw and honest ones, blended families, adoption, family dynamics and more. You can be laughing one moment, and needing a tissue the next (certainly a great tribute to the performances as well as the writing). I went to see the play with my mom, and we both enjoyed it. There were so many relatable moments, and although I myself am not yet a mom, I could certainly relate to many of the moments shared in the play. I wish the timing would have been different, and that this was running during Mother's Day, but it's running through October 29th, so you need to act fast. Don't miss this play! Bring your mom for FREE! (Or a parent, guardian, or other family member) Motherhood Out Loud is the perfect way to honor that special person in your life. See it together. Enter code MOTHER when purchasing your full price ticket and get a 2nd ticket for FREE! THROUGH 10/29 ONLY! BUY TICKETS NOW! FTC Info: Ascending Butterfly received tickets to see Motherhood Out Loud and a gift bag. Regardless, all opinions expressed are still 100% my own. I am disclosing this in accordance with the Federal Trade Commissions 16 CFR, Part 255 Guides Concerning the Use of Endorsements and Testimonials In Advertising. Ascending Butterfly Disclosure.